The ultra-sensory exhibition The Secret Garden by Nathalie Djurberg and Hans Berg is now open at the Perth Institute of Contemporary Arts, Australia, until 24 April 2016. Using an immersive installation made of sculpture, light, sound and film, Djurberg and Berg create a fictional landscape full of strange delights and encounters, thrusting visitors into mysterious worlds of feverish dreams, psychedelic sunsets and expanding universes. An exciting new commission fills the exhibition, with giant leaves, bluebells, golden-capped acorns, gelato coloured cushions and dripping ice creams. Tied together with neon lighting and sound, and presided over by a shaman rabbit, it is the stage set of the subconscious, only activated fully by each audience member’s internal direction. 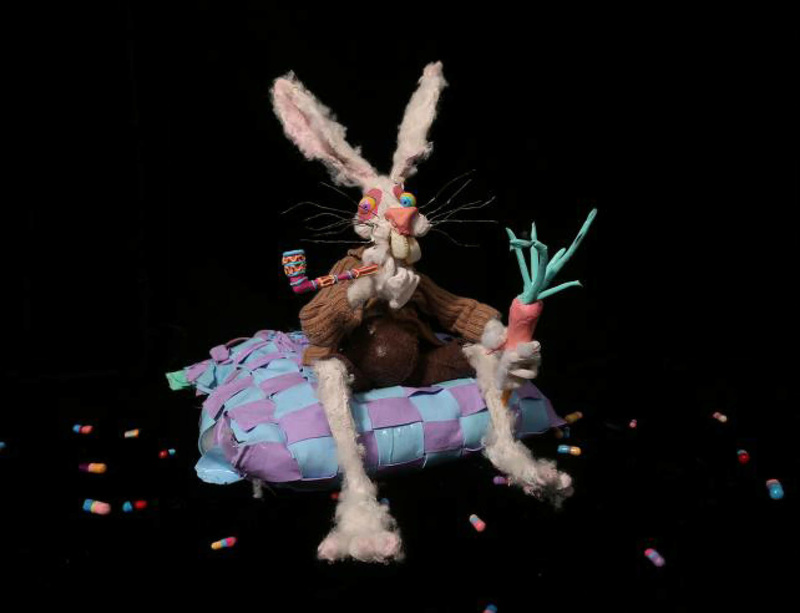 This exhibition is the first time that Djurberg and Berg’s work has been seen in Western Australia and, in addition, features a survey of the savagely humorous claymation films that first brought these artists into the international spotlight. Watch a video of the artists discussing their collaborative process, pegged to their debut exhibition at Lisson Gallery in 2014, here.